We all talk about how Amazon has become this global force that is changing how we shop for everything from books to now food. 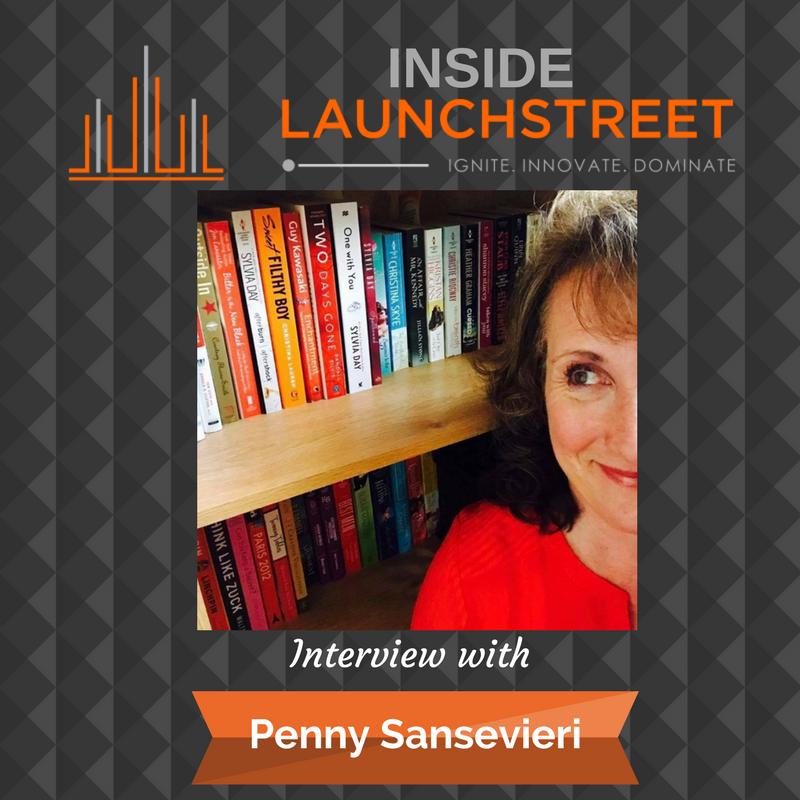 I wanted to dig a little deeper into the Amazonification of the world so I brought in Penny Sansevieri, CEO and founder of Author Marketing Experts, Inc. (AME) and Adjunct Professor at NYU. She is a best-selling author and internationally recognized book marketing and media relations expert. She knows the industry. We talk about Amazon from an industry and personal level. She takes us through the Amazonification that is impacting us all, even how we do our jobs. We talk about how your perception of change is even more important than the change itself. Why having a “figure it out” mindset helps you manage change and why today’s work environment demands an innovative mindset and entrepreneurial spirit. [1:43] You might be surprised to know that Penny considers herself a geek. She spent a lot of time in her dad’s shed learning how to take things apart and fix them. She loves technology. [4:12] Penny considers herself an accidental entrepreneur. Listen in to find out how she started on her journey. One of the biggest things she’s learned is that a successful person must know how to turn the brick wall into a window. [6:12] Penny was laid off multiple times. She shares that at breakfast, her friend celebrated her new found freedom and told her that she can now do what she was meant to do. This helped to open her window. [9:41] Independent publishing was the first disrupter in the book market. Print on demand followed. Amazon followed shortly after. Books were how Amazon was built. [13:24] How did Penny keep up with the changes and follow the domino pattern? Learn how to benefit from the changes. Tamara reminds listeners of the importance of leveraging change and harnessing change for an opportunity. You must have a mindset that you are going to figure it out. [17:41] Tamara mentions HBO’s documentary, The Defiant Ones, and the transformation in the music industry. If you change your mindset, the change can be tremendous. She challenges listeners to ask how you can turn your walls into windows. [19:11] How does Penny help clients? [21:02] Indy Publish can help publish a book in thirty days. Short is the new long. Books no longer need to be 300 pages. If you are the expert, go ahead and get it out there. [22:30] Tamara talks about her decline in book sales. She gathered feedback and found out that people aren’t wanting to read a whole book. People are looking for shorter reads. [23:26] Penny wrote a really long book, Red Hot Internet Publicity. Because of its length, people were hesitant to commit to reading. In contrast, her book, 5-Minute Book Marketing For Authors, flies off the shelf, because the time commitment is five minutes. She encourages authors to think about the top five questions you are asked. That is what you should address. Address one major concern and write about it. [27:39] Penny and Tamara discuss the importance of getting buy-in and hitting them with the value bomb, right from the start. Penny used to teach a class to help authors create an elevator pitch. The pitch should be one or two sentences. It must be clear and specific. Penny advises Tamara to break her book into smaller sections and re-release them. [31:02] Tamara shares a personal experience with using a recipe on her phone. Consumers now want something that allows them to build and use it in the moment. She reminds listeners to think how the customer is absorbing it on the other end. [34:06] Connect with Penny at A Marketing Expert or email Penny at penny@amarketingexpert.com. [34:30] What is Amazon doing that the rest of us need to be doing? What kind of convenience can you offer to your customer? Sometimes you have to give a lot to get a lot. [39:06] Penny leaves listeners with one piece of advice: take your content down to one idea and then expand it into big ways. People will keep coming back to learn more. [41:37] Tamara believes that the perception of change is more important in many ways than the actual change. She challenges listeners to think about your perception of change. Do you feel like it’s happening to you? Can you identify the change of an opportunity?